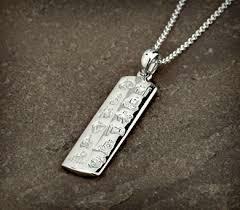 Beautifully Made Pendant Displaying The Events In Irish History. 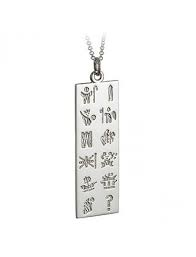 This Lovely pendant is made in Ireland and displays the following events In Irish History the pendant also comes with a little guide explaining the events. Circle Of Life No Beginning & No End. St Patrick Ireland's Patron Saint. Round Towers Proudly Stand As Enduring Images Of The Christian Faith In Ireland. Vikings Raids Were First Recorded in 795. Norman Invasion Forcing The Irish King To Submit His Authority. Battle Of The Boyne Was Fought In 1690. United Irishmen After The Rising Of 1798. Irish Flag Is The Distincitive Tricolour Of Green, White & Gold. Famine During The Great Famine It Is Estimated One Million People Died & Over A Million More Emigrated. Famine ShipThe Great Irish Emigration begins Sadly For Many They Never Made Their Destination. GPO This Building Has Become Synonymous As A Symbol Of The Rising. Partition Between North & South.